Occupant here blends and acclimatised with their lifestyle on given space. The built environment involves consumption and depletion of resources that result in environmental degradation in forms of pollution, global warming, and the like, and adversely impact the local communities. This establishes the pressing need for a ‘sustainable’ built environment that is based on the harmonic relationship between economic development, social development and environmental protection. Recently, the notion of sustainability was also highlighted by United Nations in the 2030 Agenda for Sustainable Development. It implies managing resources, addressing issues of poverty and inequality, and aligning economic growth with the cultural as well as the natural fabric. 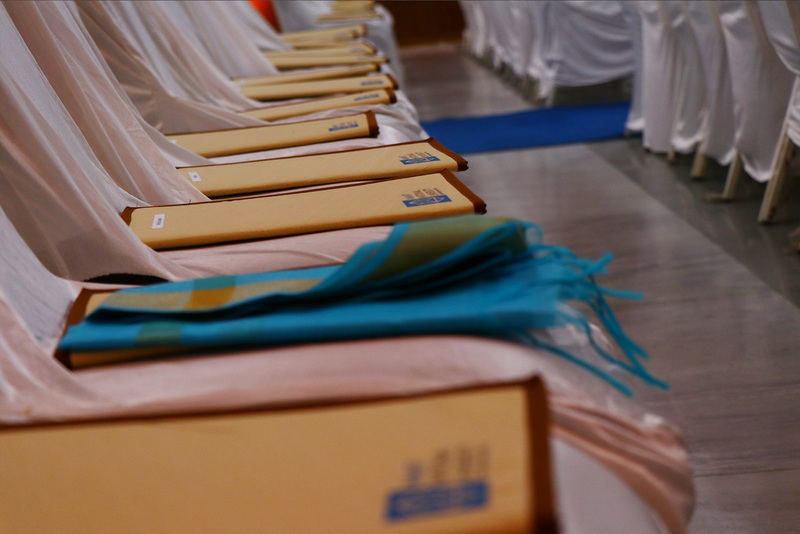 At the prime of 17th August 2018, Anant National University bid a bittersweet goodbye to the first batch of its flagship programme, Anant Fellowship, and felicitated students of School of Architecture and School of Planning in the Convocation ceremony. Highlights of the event included a heartwarming address by Dr. Pramath Raj Sinha, Provost, AnantU, and the keynote address by Ms. Swati Ramanathan, former Co-Convenor of the Urban Planning Group of the Planning Commission’s 12th Five Year Plan, and current member of the Chief Minister’s Advisory Council, Government of Rajasthan. Having attained commendable feats in the spheres of architecture, design, community development and environmental upgradation through sustainable interventions during their programmes, students of AnantU made the university swell with pride by getting placed at India’s most reputed organisations like the Lodha Group, Piramal Group, Quality Control of India, Common Ground practice, INI Design Studio, HCP Design, Planning & Management, Earth Foundation, Blocher Blocher India, Open Spaces Design Studio and Biome Environmental Solutions among others. 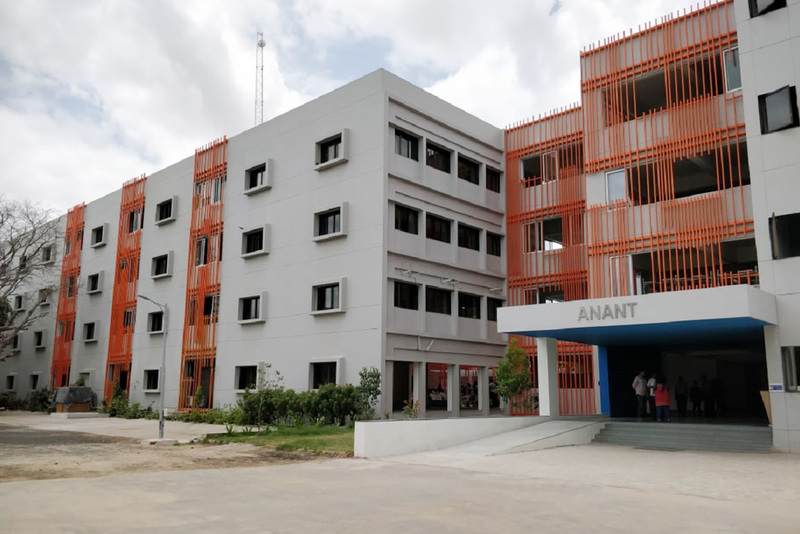 AnantU welcomed its new batch of Design, Architecture and Built Environment at the Orientation day organised on August 12, 2018, following the massive makeover it underwent during the break. The university revamped its curriculum across all programmes to become more interdisciplinary, and upgraded its infrastructure to be in sync with its education philosophy. The incoming batch of students will collectively go through a foundation year that emphasises on unlearning pre-conceived notions of self and surroundings, and builds critical life skills of collaboration, communication, problem solving, and critical thinking. 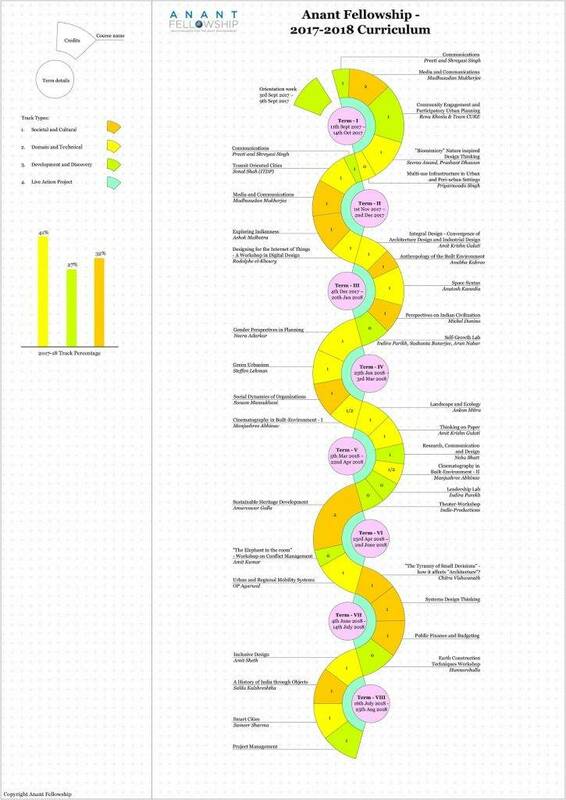 Their academic journey will continue with a choice based credit system wherein each student will have the freedom to design his/her own learning path. 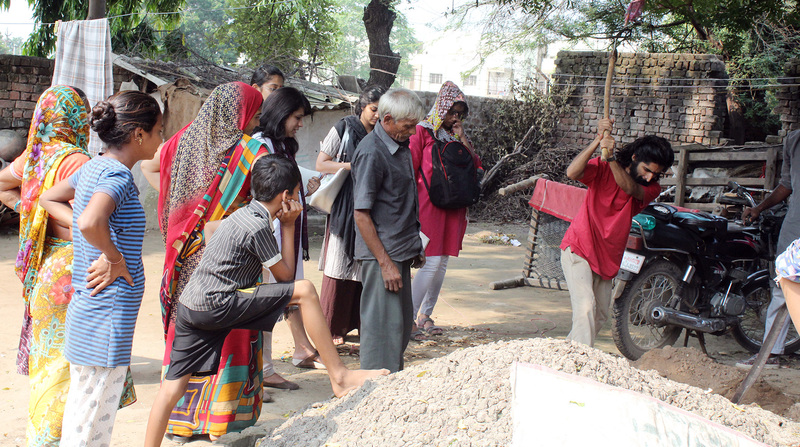 Principles of sustainability, and real-life cases relevant to the subject form a major component of all modules taught at Anant National University along with a strong emphasis on hands-on learning through workshops, studio work, field trips, research projects, and internships during the programme. To further support progressive academic modules and provide students with a holistic learning experience, the campus site has been rebuilt to provide students with a Makers’ Hub for conducting in-session, summer, and winter workshops, Learning Commons as a replacement to the traditional library, and Collaborative Classrooms to facilitate interdisciplinary learning. Students of AnantU will also benefit from the guidance they receive under the university’s accomplished faculty members like Hemen Sanghvi, Sonal Beri, Amit Sheth, Jeroen van Erp from TU Delft, Rodolphe el-Khoury from University of Miami, and more, and from its collaborations with eminent global institutes like the University of Pennsylvania, Tel Aviv University, and Bezalel Academy of Arts and Design. 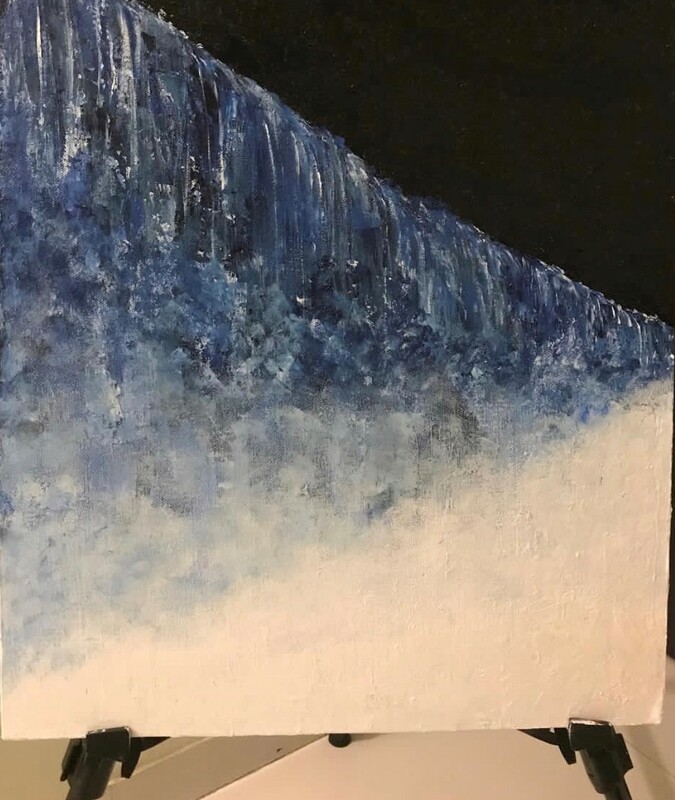 For the first year students, a foundation course on Unlearning has been initiated by AnantU to help them break down pre-conceived notions that they may have adopted because of their past context and conditioning. 1. There is no absolute right or wrong. 2. There is no place/no one who has all the answers. 3. Information is not learning. 4. You are a part of a larger mechanism. 5. It is okay to fail. 6. Know who you are, not what others expect you to be. 7. Dream – anything is possible. Hands-on activities imparting these lessons were conducted during the first 10 days of the new term. Dawn transitioned into morning and the freshness of the air hit us as we reached Bhuj on the 31st of July. The landscape and atmosphere almost seemed perfect for our 5-day trip here. I knew right away, that this would be an amazing trip filled with fun and learning – Edutainment! As we began to absorb the serenity of the place, we were warmly welcomed by our hosts with a brief discussion about our day’s activities that were so comfortably scheduled for us. The schedule was set to begin with the tour of Hunnarshala that triggered our minds in awe, as we witnessed the crafty designs and material usage of the place, followed by soil testing and an information session about different soils, formations of sedimentary rocks which dated back to the ancient period. The next day we had a wonderful beginning with different lab methods of soil testing that left us with the desire to dig deeper about earth soils. After quick refreshments, we took a tour to get acquainted with the culture and tradition of Bhuj by visiting a village called Rudramata. We saw beautiful dresses and jewellery being created. On having conversations with villagers we realised that they had an understanding about the kind of houses that would last in earthquakes and even about materials that would be required to build such houses. Our visit to Khamir made us realise what simplicity in architecture and handicraft is. The day ended with us doing leisure walking around the markets and around the breezy atmosphere of the lake, gulping down food to our hearts’ content. 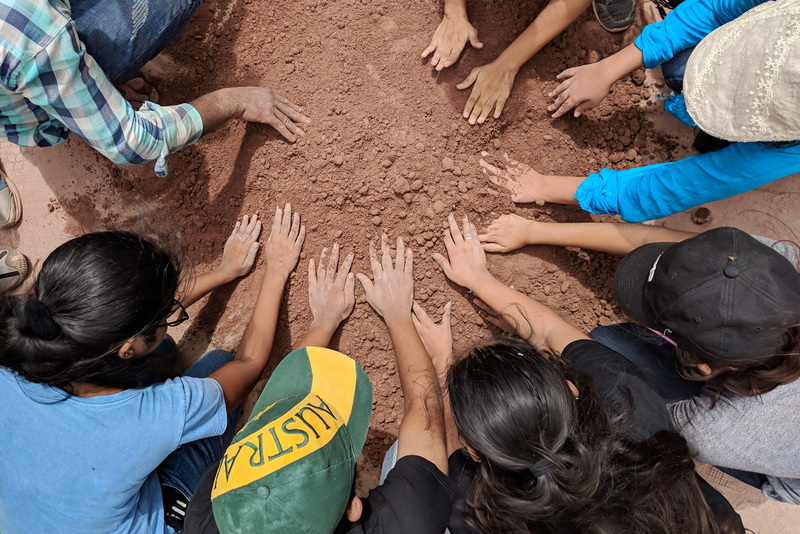 Being at Hunnarshala brought with it a new excitement and an eagerness to learn; we built rammed earth walls, made compressed stabilized bricks, and got a taste of sweet and sweat during our hands-on experience in construction. We also had an opportunity to visit houses built with rammed earth walls initiated by Hunnarshala which again displayed its crafty design. The next day began with working on thatched rooves and wooden space frames. 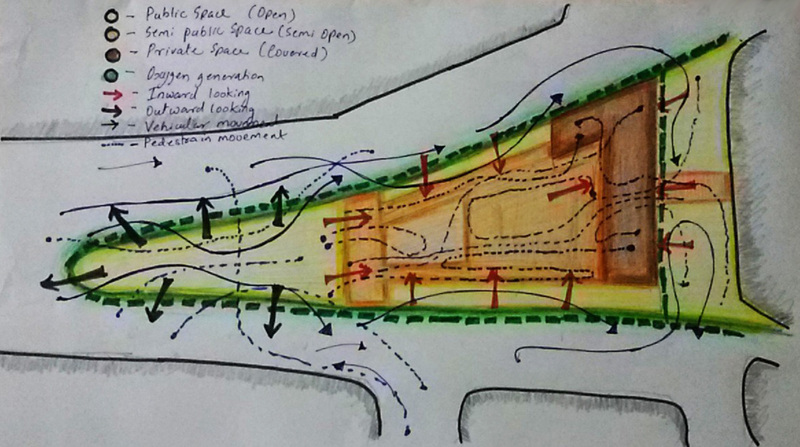 We gained a thorough understanding of its practical application in parallel to our theoretical knowledge. Followed by hands-on experience of building arches we felt our theoretical knowledge being put to use and that gave us immense satisfaction. Our 5-day trip ended on the dusk of 4th August, which I felt was just the beginning of our learning journey. We brought back with us great fun and enlightenment. With delicious food and enthusiastic guidance from our faculty, we felt privileged to be there. With gratitude in my heart and fond memories in my heart, we reached Ahmedabad at the dawn of 5th August. Across the country, 15th August, our independence day, is celebrated with great joy and enthusiasm. We have been rejoicing it from the time we were in playgroups. 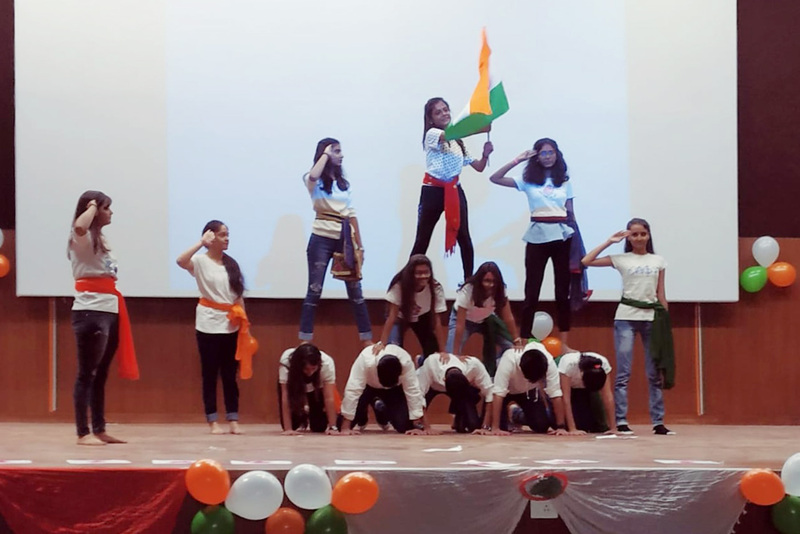 What made this year’s celebration unique and memorable was that it was completely planned and executed by us students. From groups handling technical issues to groups performing on the stage, every person had a role to play in the event. Since we had joined AnantU only 2 days prior, planning for this big show began just 24 hours before. Eventfully, everything went on smoothly on the I-Day! The event kicked off with a short clip on the hard lives of our heroes, and then came a beatboxing group who performed on the song ‘Jai Ho’ by using different means for the sound effects. It was truly a mesmerizing act! This was followed by a beautifully choreographed drama based on the theme of our country’s colonisation due to trade. To then lighten the mood of our audience, lovely dances on heart-touching patriotic songs were performed. The whole auditorium where the event took place was thematically decorated by the decoration team. The backbone of the event, the technical team, did their job brilliantly ensuring the whole function goes on smoothly. So, be it the anchors who kept the audience glued to the stage or the audience who cheered for and encouraged the performers, everybody present at the event made it a huge success. The event was concluded by planting of saplings on the banks of the lake situated beside our main building. It was our first event as a group and it worked out flawlessly. To quote what our mentors said to us, “IT WAS OUR FIST DESIGN PROJECT”. However, since the built environment may contribute to economic growth and yet adversely impact the natural environment and displace communities, it becomes imperative to question and reassess the existing models of development. Questions that thus arise are: What happens to our existing indigenous resources? What happens to the inhabitants of the region? Do the projects take into cognizance the social fabric in terms of the beliefs, ideas, institutions? What are the dynamics that shape our surroundings? We, at Anant National University, through our courses, workshops, and projects, seek to sensitise students to the idea of ‘sustainability’ in built environment which is required to encompass the aforementioned concerns. We guide them to adopt a holistic approach that takes into notice the tools which can benefit the designer, the architect, and the users just as well. Students gain an in-depth understanding of best practices used at various organisations within and outside the country, be it for corporate social responsibility or broader policy making at the macro level. Over the duration of their programme, AnantU prepares its students to be responsible citizens of the world.